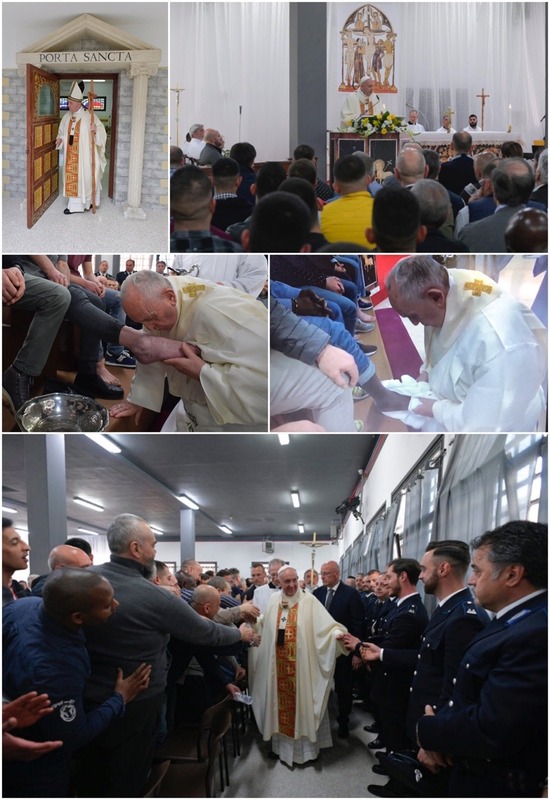 18th April >> (@ZenitEnglish By Deborah Castellano Lubov) #PopeFrancis #Pope Francis This #HolyThursday, #Pope Washes Feet of 12 Detainees at Velletri Correctional Facility, Reminding Them We All Must Humbly Serve Others. Marks 5th Time Francis Celebrates Holy Thursday With Prisoners (Full Off-The-Cuff Homily Included). After delivering an off-the-cuff homily, in which he stressed that everyone–no one excluded–must serve others, the Holy Father washed the feet of 12 detainees, including nine Italians, one Brazilian, one from the Ivory Coast and one from Morocco. Today we unite in prayer with the people of France, as we wait for the sorrow inflicted by the serious damage to be transformed into hope with reconstruction. Holy Mary, Our Lady, pray for us. Copyright 2019 Our Lady Star of the Sea Parish. All rights reserved.